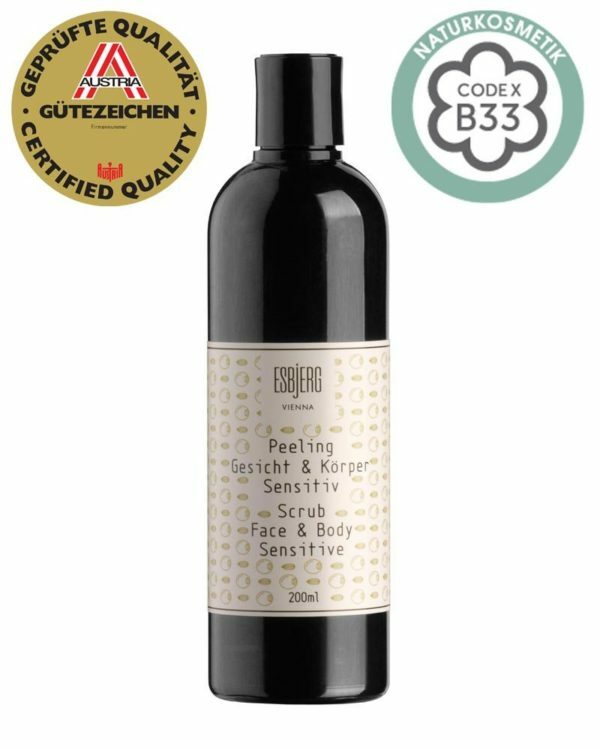 The natural peeling with olive stone flour reduces died-off skin cells, promotes the blood flow with its massage effect and makes for a smooth and fresh appearance. Combined with healing-promoting witch hazel water. The scent-neutral Sensitive formula is made especially for mild and sensitive skin. Witch Hazel: also known as Zaubernuss in german, relieves multiple skin disorders and is anti-inflammatory, calming and astringent. If needed, can be applied once or twice a week. For the face, use a hazelnut-big amount and for the body double the amount, then apply in circular movements of the skin. Gently massage it in the skin and rinse with warm water. 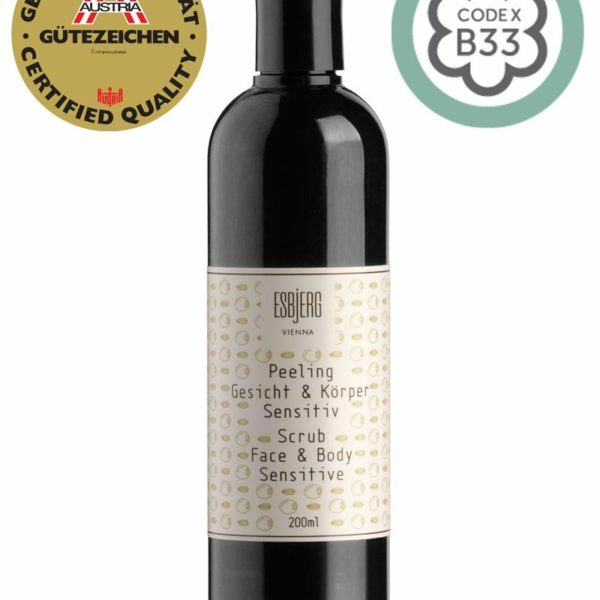 The products of ESBjERG are made according to the Austrian natural cosmetics code B33 and marked with the Austrian Quality Label. They are free from any animal-based ingredients (with the only exception being beeswachs), nitrates, aluminum, PEG particles, fluorides, petrochemicals, silicon and parabens. They are traded fully responsibly and are made of fairly-traded resources and only conserved with potassium sorbate and sodium benzoate.